my committee members. This process should equip you to do training in your area clubs. reaching the Million Dollar goal. Stay tuned for this one. Reference Notes from the 2018 Club Leadership Training, click here. Club Administration - Membership, Meetings, Dues etc. 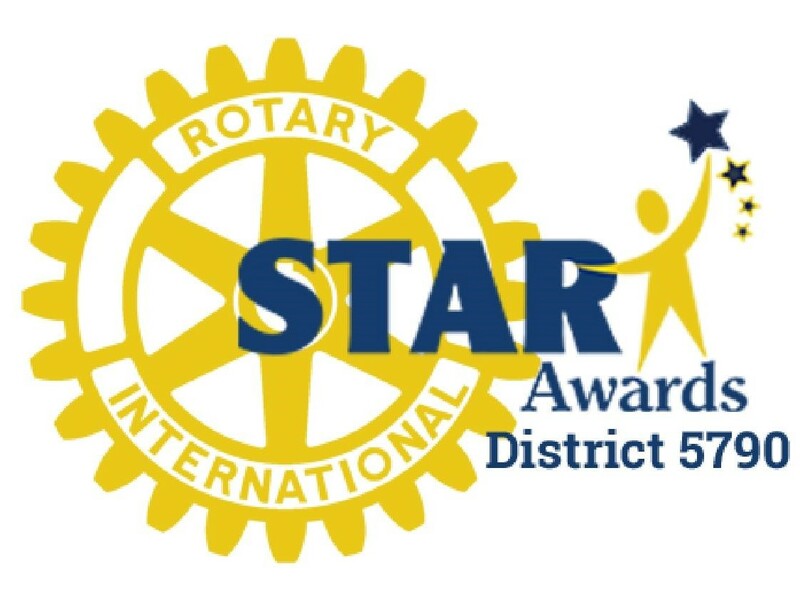 District Governor Elect Gerald Robinson announced a new District 5790 Rotary Awards Recognition program for Rotary Year 2018-2019. 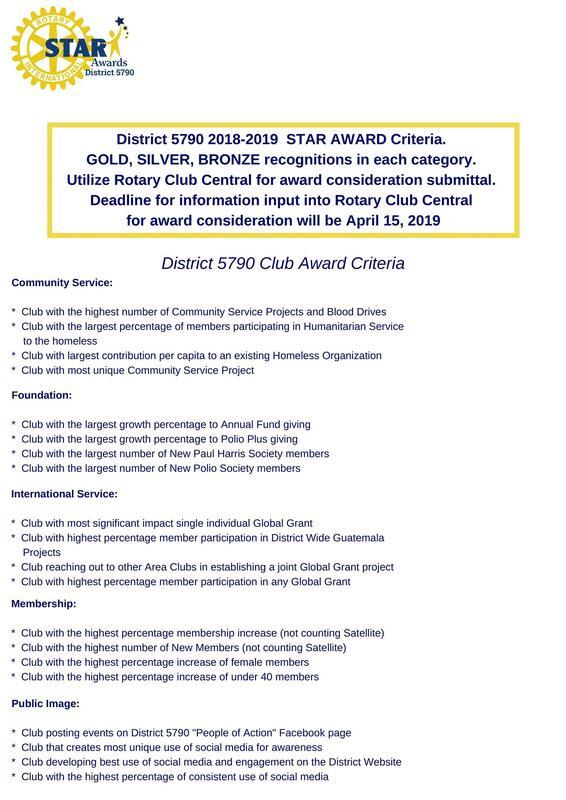 Under the new recognition system, District 5790 clubs will have the opportunity to compete for Gold, Silver and Bronze Recognition's in Community Service, Foundation, International Service, Membership and Public Image. In addition, our 8 Areas will have the opportunity to compete for Recognition's in Club Culture, Events Planning, New Club Development and Training/Technology. 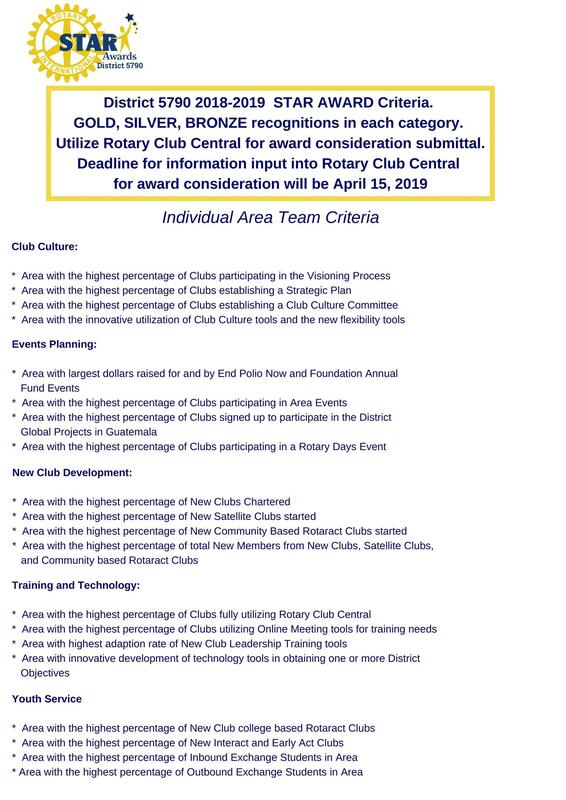 Clubs will participate simply by fully utilizing the Rotary Club Central tool on Rotary.org. 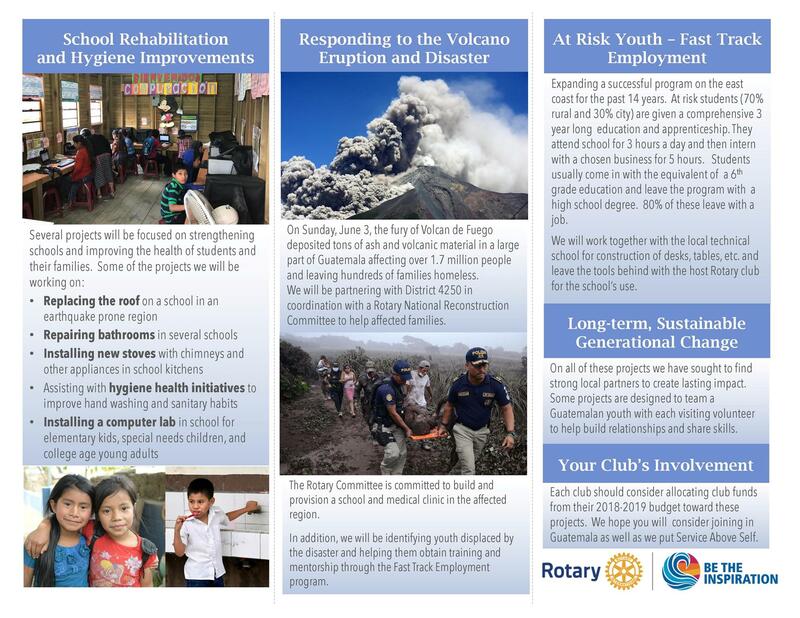 All our Rotary clubs are encouraged to upload their 2018-2019 goals in Rotary Club Central as early as possible in the Rotary year. Clubs are encouraged to consider the criteria in the 10 areas listed below in preparation of their 2018-2019 club goals. After April 15, 2019, team captains of each of the Club Support Assistance Team will select with input from team ATO's the a gold, silver and bronze recipient for their specialty. Working with DG Gerald and the awards team, the final selections be determined. These Awards will be presented at "An Evening With the Stars"​ Awards Dinner in May of 2019. If there are any questions regarding how to use Rotary Club Central to record and track your club goals, contact your Area Governor or the member of the Training/Technology support team in your area. If you have questions about the individual goals for each of the 10 areas, please contact the Area Training Officer of that specialty in your area. 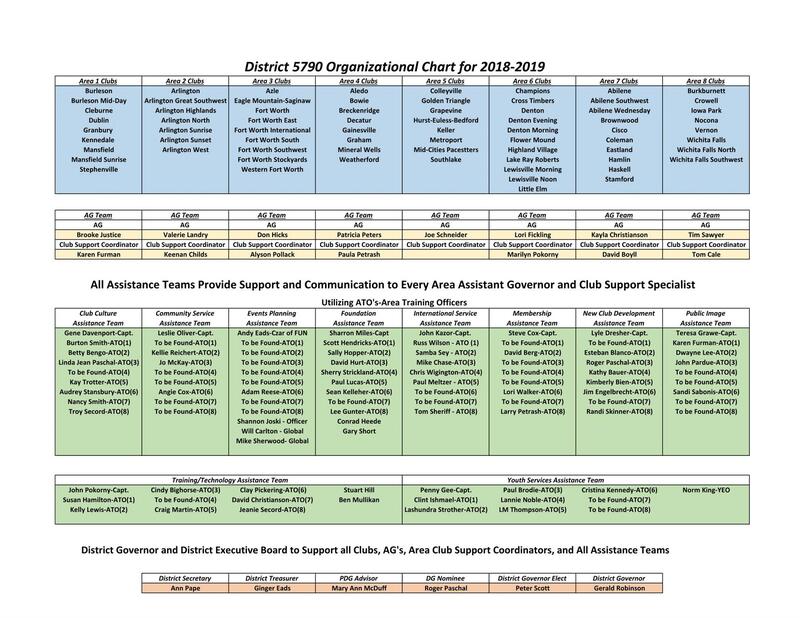 At the top of the Be the Inspiration Site page is the most current District 5790 Organization Chart for 2018-2019. The chart indicates the Area Training Officer the specialty in each Area. They will be happy to support your clubs information needs. 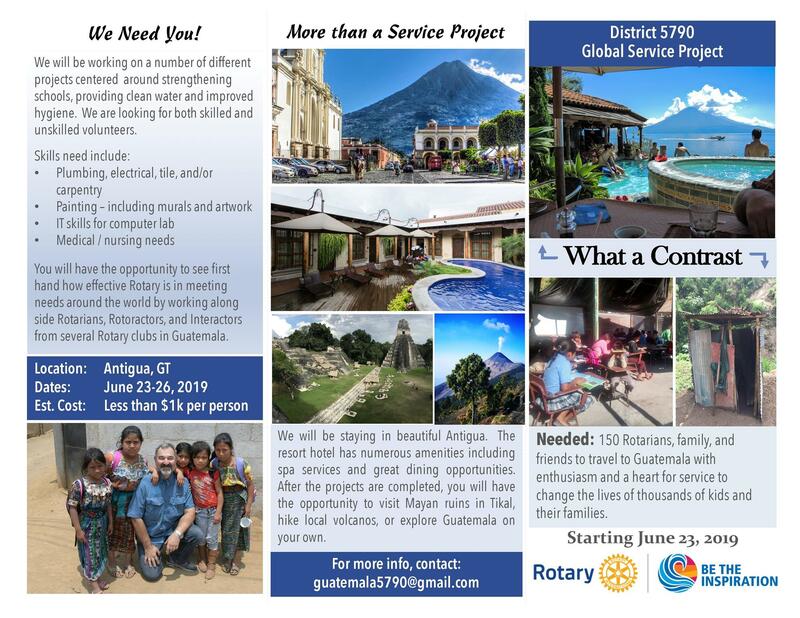 District Governor Elect Gerald Robinson and a small committee of District 5790 Rotary members has been researching a fantastic opportunity for approximately 150 of us to do a "hands-on" global service project next June (2019). Below is some information put together by that team to share with all of our members. We have a lot more work to do finalizing the project needs, identifying project costs and developing a budget. Once done we will be seeking grant funding from all of the district clubs that are partnering financially and physically, District 5790 District Designated Funds and The Rotary Foundation. Our goal is to have all the pieces in place so that we can start work June 23, 2019.